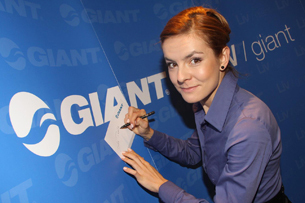 We are delighted that our Honorary Patron for Cycle Poland 2013 is Maja Włoszczowska. 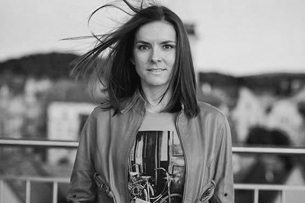 Read about Maja and her support for Cycle Poland in an exclusive interview with the Foundation. 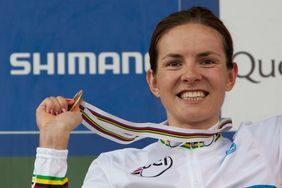 A world champion and olympic medallist, Maja is a fantastic mountain biker and a truly inspirational lady. Denied the chance to compete in the London Olympics by a horrific broken ankle only a week before the opening ceremony, she has picked herself up and thrown herself back into training, with her heart set on the world championships in 2013. 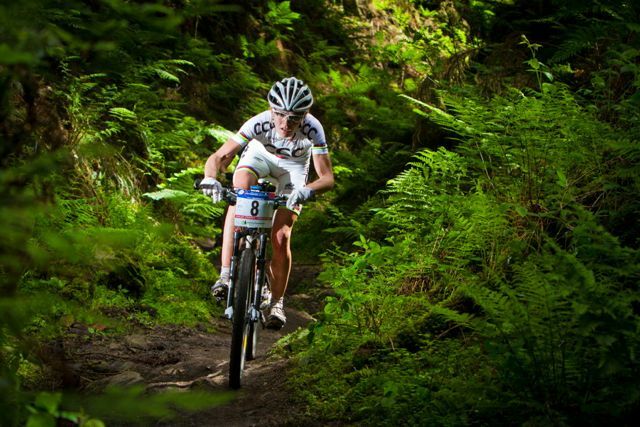 She now races for the GIANT Pro XC Team. When you really want something, all the universe conspires in helping you to achieve it. Congratulations to the Cycle Poland 2012 team for the idea of the ride and for conquering 1040km from the mountains to the sea. I was very happy to be the patron for this event. You have managed to combine charity work with encouraging people to volunteer, and to promote an active lifestyle together with the value of giving to others. Hospices, and their everyday work in caring for patients, are subjects about which we often speak with fear. Thanks to your actions many people have seen that volunteering has many faces, and that hospice volunteering has a smiling, although often tired face, like the face of a professional athlete. I have my fingers crossed for future rides. You are champions of your class. We have our fingers crossed for Maja too, and wish her every success in 2013. We are hugely grateful for her ongoing support for Cycle Poland and the vital work of Polish hospices. You can read more about Maja on her website.